Bankstown Arts Centre is a major cultural hub in south west Sydney supporting artists and the cultural needs of our 350,000 residents in what is now the largest LGA in NSW, with over 120 languages in our communities. We are very excited to co-present Boundless in partnership with the NSW Writers Centre, which will be showcasing the incredible diversity of stories and writing that is being generated through our resident art organisations, BYDS, UTP and Bankstown Poetry Slam as well as other organisations in the region. Bankstown Arts Centre is a place where artists and communities collaborate to explore ideas and learn, create and experience contemporary community based art. It is a unique multi-arts hub that fosters cross-disciplinary creative practice and collaboration across diverse artists, across cultures and generations. We deliver a quality arts program that is built on social engagement, sustainability, partnerships and community. 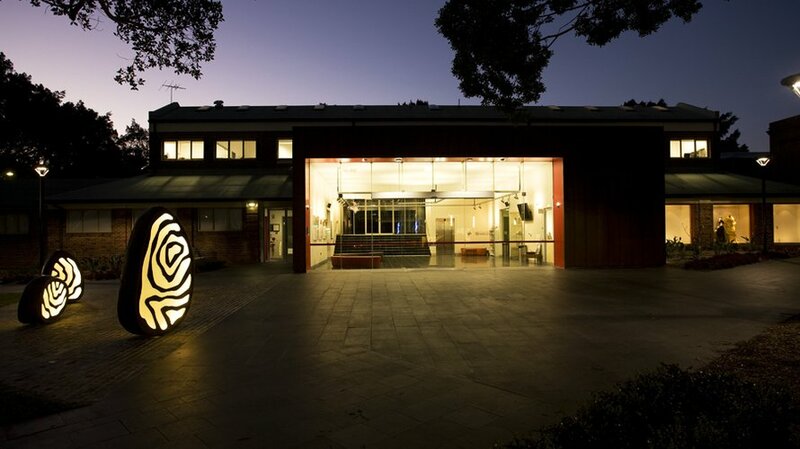 A major focus for the Bankstown Arts Centre is to provide support and reduce barriers to arts engagement for artists, communities and audiences experiencing social exclusion, such as Aboriginal and Torres Strait Islander communities, people with a disability, culturally and linguistically diverse (CALD) and low income communities. This includes a wide range of Access programs as well as Creative Ageing projects. We continue to build on our track record of intercultural and multi arts practice to further collaborate with local culturally diverse and Aboriginal communities and develop new models of practice. The Arts Centre also provides purpose built accommodation for both professional and community based arts organisations. Resident organisations at present include: Urban Theatre Projects, Bankstown Youth Development Service (BYDS), Bankstown Art Society, Bankstown and District Lapidary Club and Bankstown Theatre Company. The Arts Centre actively supports these key tenant organisations by providing professional management of the working art spaces, facilitating creative exchange, dialogue and partnerships, fostering audience development and extensively marketing the Arts Centre as a welcoming, inclusive and dynamic arts destination in South West Sydney. At the Festival we are presenting Trans-Scribe, a multimedia exhibition showcasing poetry, scripts and other writings by students from Bankstown Public School and Bankstown Girls High School. It also includes a collection of transcribed interviews and recordings generated through the Stories of Strength project by local young people. The exhibition is a partnership between Bankstown Arts Centre, BYDS and Sydney Story Factory.